Posted 12 October 2017 by Sam Brickley & filed under Articles, Business, Design, Money, Technology. Graphic design is becoming an increasingly popular field, with businesses relying on designers to produce graphics on a daily basis for social media, websites and other items. To be an effective graphic designer, you’re going to need the right tools to get the job done. While there are many different tech options available to you, Apple products remain a popular choice for designers. Still on the fence? Read the case for Apple below and see if it could be the right move for you. From the moment you enter the world of graphic design, you’ll realise that Macs are everywhere. From being used in the classroom to a job requirement, Macs and graphic design are almost synonymous. There is a culture and history around why artists love Apple that still exists today, so until something comes along that challenges that (and the Microsoft Surface is really trying), Apple will still be seen as the winner for most designers. From a design perspective, fonts are important, and Apple has understood their importance since the beginning. Granted, Windows has finally broken away from the Times New Roman model that people were sick to death of seeing, but Apple still has a way with fonts. Put simply; Windows PCs are geared towards readability, while Macs and other Apple products focus on the visual elements – something that designers have always valued. If you’re going to be working with typefaces, particularly infographics – then you’re going to need the tools to do an effective job. Another reason that designers love Apple is that their products are good to look at, an obvious selling point for designers. Apple design both their operating systems and their hardware, while machines that run Microsoft can be made by different manufacturers. The sleek, consistent look of Apple products is a draw for those with an eye for design – especially when considering the suite of Apple products now available that can create a more uniformed look. 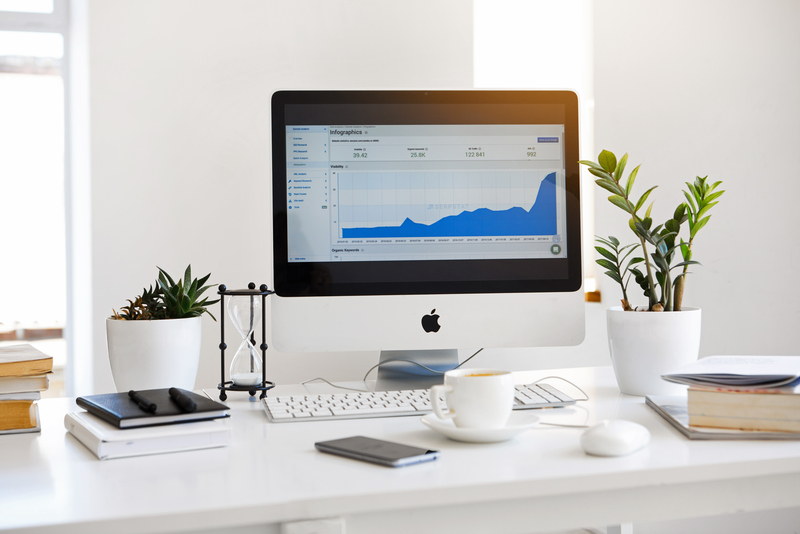 In many offices, having Apple equipment on display creates a modern, professional appearance – particularly in the media and design industries, so if you’re thinking of ways to spruce up your office, you might want to consider investing in some Macs. Search for any list of top applications for graphic design, and the majority of them will feature Adobe programmes. Adobe is considered to be the best of the best in design and editing and is often perceived as being more effective on a Mac. Adobe was born on Mac computers, but now it has been built to work as effectively on a PC. Design purists will prefer to use Adobe packages on a Mac, and the birth of Adobe Creative Cloud now makes it easier to pick up different projects across various platforms, including iPhones and iPads. While it’s a relatively weak argument, it’s something you’ll often hear designers argue when asked if they prefer PC or Mac. Macs may be the designer’s hardware of choice, but it doesn’t mean it’s the most affordable. The good news is that refurbished Apple products are available at good prices from http://m-suite.co.uk/, helping you to benefit from owning a Mac for your design work. At the end of the day, the tools you use are a matter of preference and being a good designer shouldn’t be affected by the tools that you use.